The CINMGA season number nine got off to a great, if wet, start last week. We answered such deep philosophical questions as “can you be miserable while doing something that you love?” and confirmed the old saying that “into each life a little rain must fall”. In our case it was literally about 3/4 of an inch of rain that fell while we tried to play this tournament. 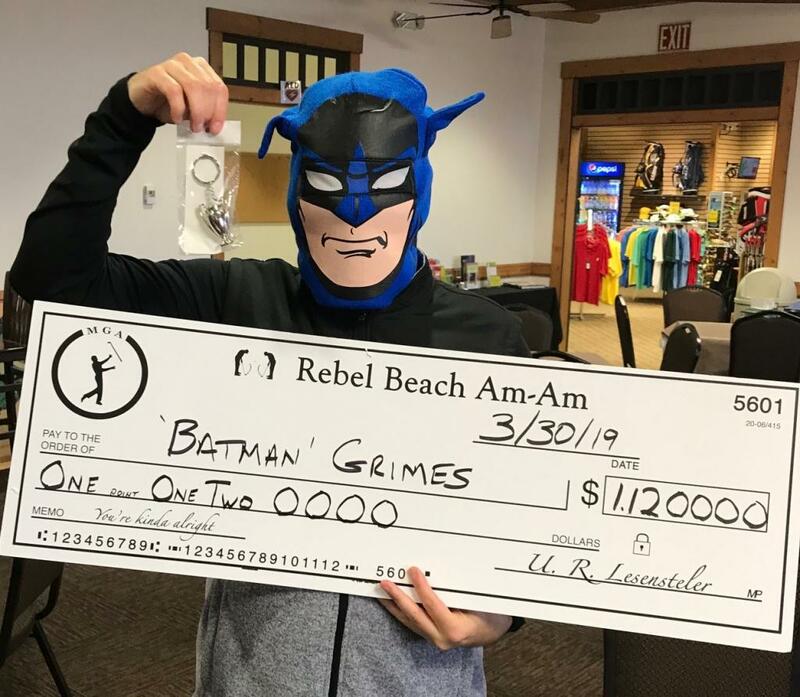 That said 22 tough hombres showed up for the tournament and 18 staggered to the finish to witness “Batman” Grimes take home the first title of the year. It has become clear that getting dressed up in a foolish outfit has some type of its own special super powers when playing in CINMGA. 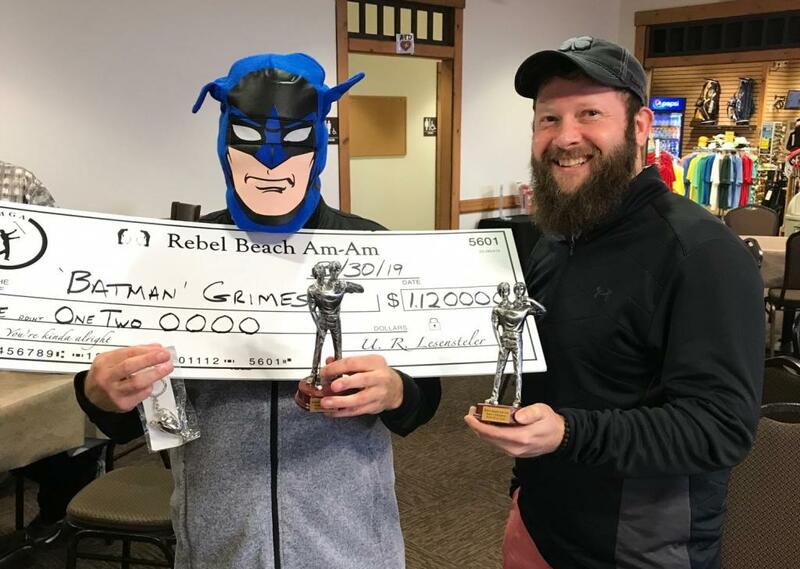 Tim and Chris Blanton easily took first place in the best outfit award category (sadly this in not a real award) However it became evident that Tim‘s super powers had appeared on the back nine as he shot a 37 to take the tournament with the 81 net 87. His 81 was also good enough to take home the Gross Award. With Tim taking his second tournament in a row, it looks like it might be a long season for the rest of us mere mortals. Close behind him, in 2nd place, Kyle G. shot a steady 43/43 to come home in net 91. 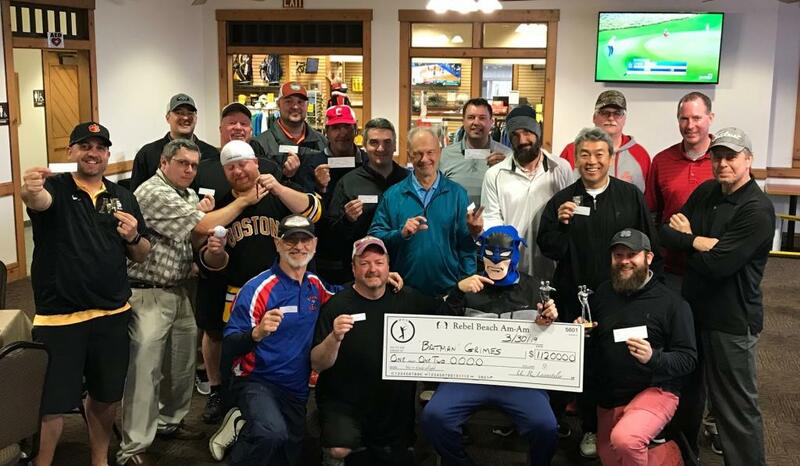 As luck would have it Kyle and Tim’s partners had to drop out early so the two of them ended up being paired together to take the Am/Am championship for 2019. Salsa Dan kicked off his season in grand style and broke in his new putter grip with a solid 90 to put him in third place. 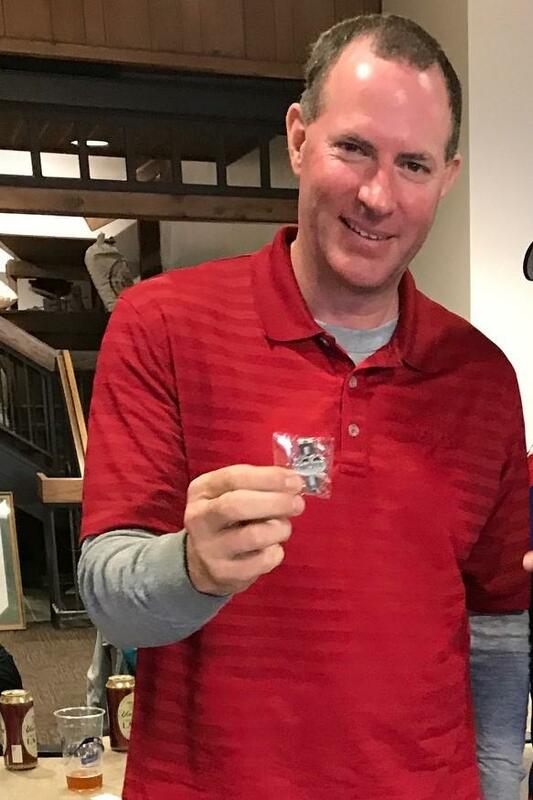 Dave Ratajczak showed it’s going to be another horrible season for him as he did not DQ but managed to shoot an 82 to go with his 11 penalty strokes and take fourth place. Rounding out the top five Dave Gibson came home with a nice 95. Newbie Chris Hicks, who had finished second in the EL Presidente cup, got introduced to the pressure of having to defend on the MGA as he went from 2nd to 15th place. 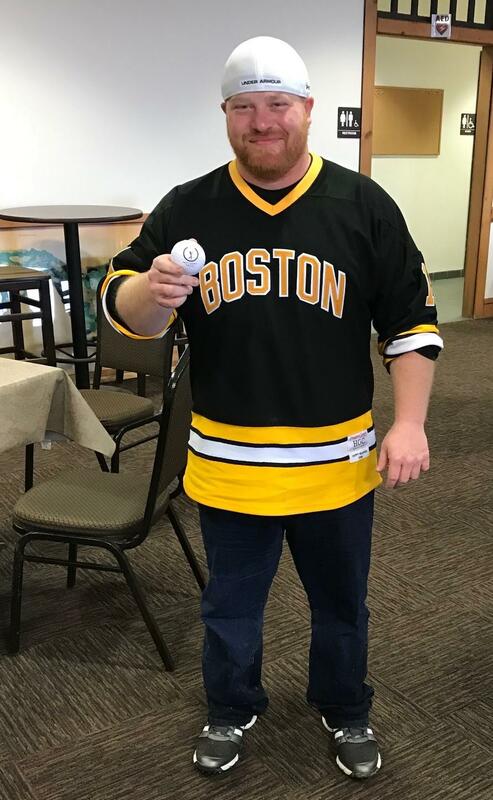 However he showed that he still had some game by taking the Closest to the Pin Award for the second tournament in a row. The other newbie, Eric Hostetler, showed he was one of us by cancelling out some Mirdies, with a nice 10. We also welcomed back Nolan Martin who had taken off a year only to realize the pain of not being with us was worse than the pain of bad golf. Dennis H. brought out his inner animal to take the Long Drive Award. It was confirmed what we already knew about Skip Koesterman that he’s not great, he’s not horrible, he’s just mediocre, as he took the Most Mediocre Award. Brendan Griffith showed up looking sharp in his Happy Gilmore jersey but it was not enough to keep him from taking the red key. He also managed to take home the Meltdown Award but on the MGA hope springs eternal as he sprinkled a couple of 3’s in between the 8’s and a 10! Next up is the bastards at our traditional venue of the Vineyard. Hopefully there will be a little less rain and a little more sunshine as we kick off the first major of the season.